Consumers love apps. Research shows 85% of time spent on smartphones is consumed by using applications, but only a select few are used. According to TechCrunch, the average person uses 9 apps daily and 30 apps monthly. How do you make sure your app is one of the favorites? It’s important to engage users throughout their app journey. From the second your app is downloaded, you should create campaigns to build a relationship with each customer through multiple channels including email, in-app messaging and push notifications. 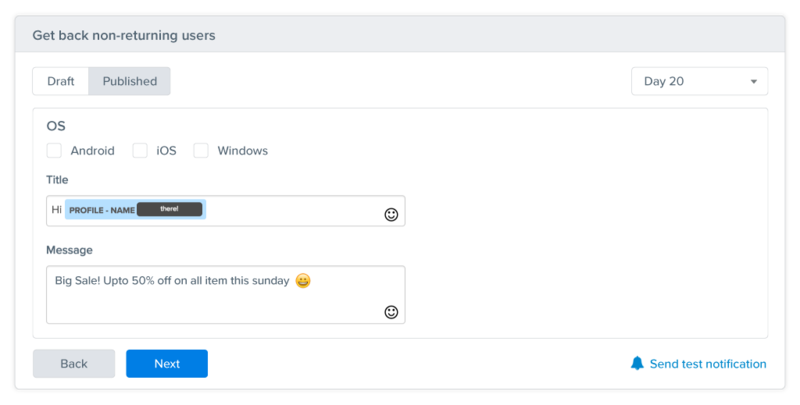 CleverTap makes it easy to customize campaigns with pre-built marketing templates that make customer acquisition and retention a snap. Once your app is downloaded, it’s time to roll out the red carpet. 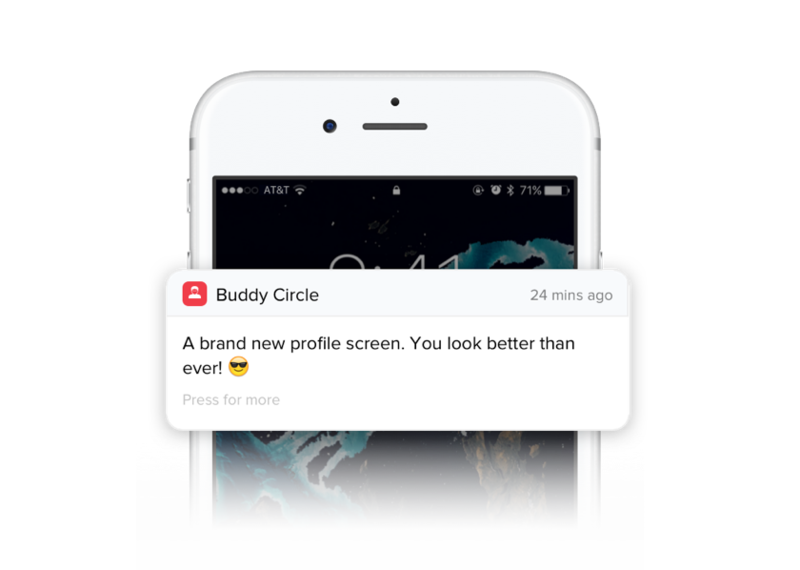 Welcome new users with in-app messages that help them discover your app’s best features. A welcome message isn’t a one-time thing. 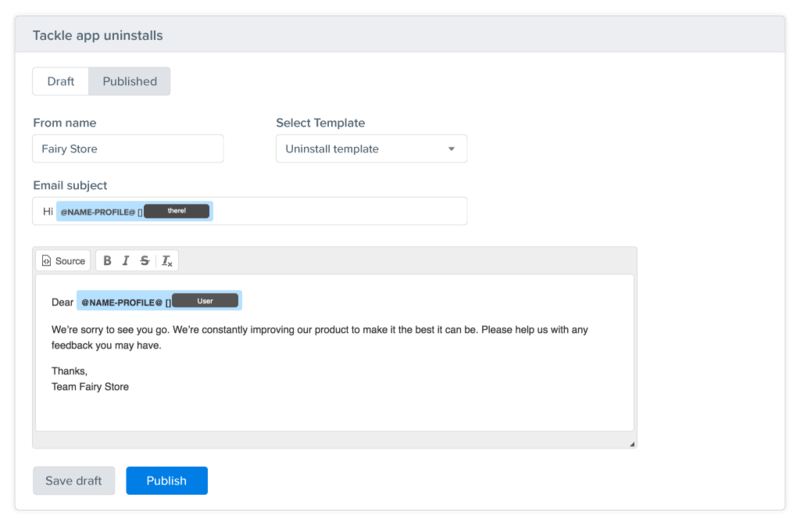 You can create a series of welcome messages to “onboard” a customer, which is marketing speak for helping new users get the most out of your app. 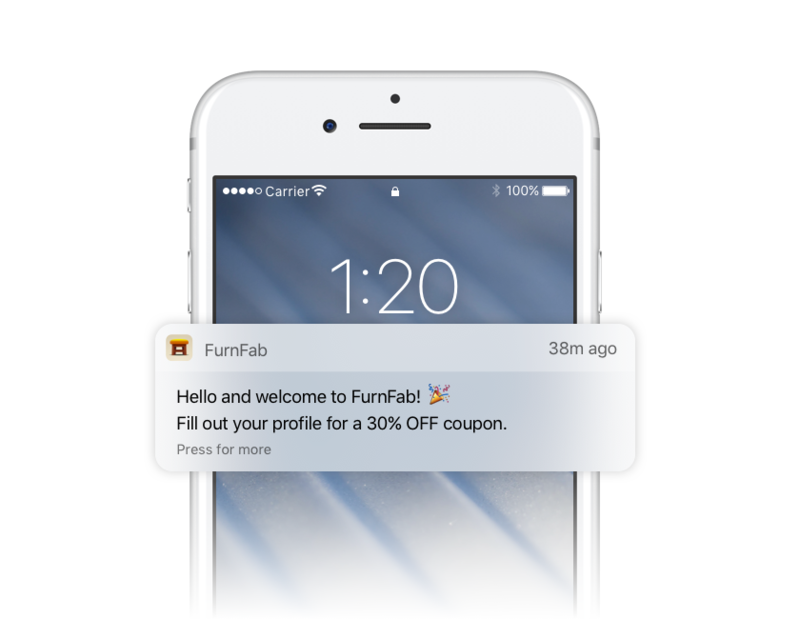 Here’s an example of a push notification that not only welcomes a new user, but also offers a coupon as an incentive to use the app and make a purchase. You can send welcome emails that encourage app use as well. Getting a customer to download your app is just the first step. Once downloaded, you want customers to come back again and again. Research from eMarketer shows 62% of customers have up to 20 apps on their phones. If your app is one of the lucky 20, it’s time to move into retention mode. Give your customers a friendly reminder to use your app. If the user signed up for push notifications, send a notification reminding him or her to use a specific feature. Don’t stop with just one message; strategically schedule a series of messages to arrive over the course of several days to drive users to the app. To retain customers you need to provide the best app experience possible. To do so you’ll likely upgrade your app from time to time. 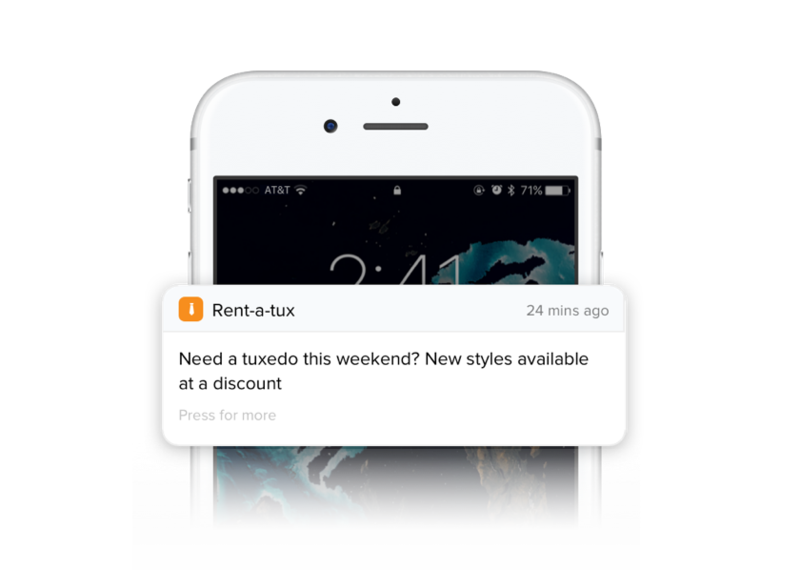 Make sure customers download the latest version of your app by creating a reminder campaign. Take a look at the push-notification below that tells users about the new version, and even highlights the new features to convince customers to make the update. With CleverTap, you can automate this kind of campaign. When a new version of your app is released, messages are automatically sent to your users. 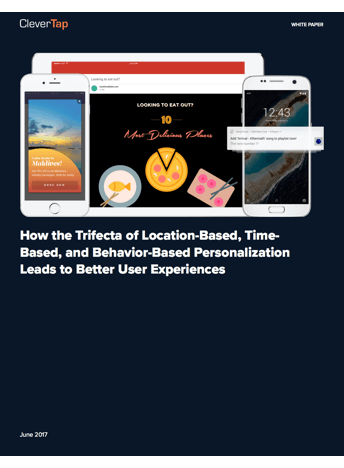 When active users start opening your app less frequently, create a targeted campaign to reinvigorate their app use. The idea behind this kind of campaign is to prevent users from straying or forgetting about your app. 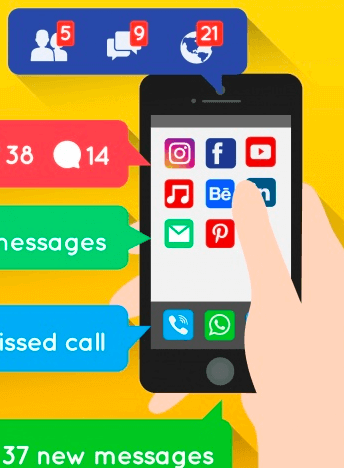 CleverTap can help you monitor app usage and when activity starts to slow down, you can create and automate a push notification campaign to drive customers back to your app. When a customer stops using your app for an extended period of time, many brands consider them “lost.” While it’s a discouraging title, it doesn’t have to be permanent. Once a customer reaches a certain period of inactivity, create a series of messages and emails to win back lost customers. Consider sending a push notification that encourages users to check out a new episode or feature they may have missed. Support the messages with an email that says, “We Miss You” and highlight an activity the customer can do in your app. Collecting feedback from customers who uninstall your app can provide valuable insight. By understanding why customers remove your app, you can make changes that keep others from following suit. Send an email that explains your commitment to providing a great app, and ask customers what changes they’d like to see. Sometimes a personalized email that shows genuine concern for a customer’s opinion is enough to win a customer back. The key to attracting and retaining app users is to consistently reach out to your audience with informative messages that educate, inform and encourage customers to use your app. By using CleverTap’s Clever Campaigns with pre-built templates, all you have to do is create the message and CleverTap can help you with the rest. See how CleverTap can help your app thrive by scheduling a demo.